CEBU CITY—The icon “Inahan sa Kinabuhi” is the official icon of the Association of Major Religious Superiors in the Philippines for the Year of the Clergy and Consecrated Persons. 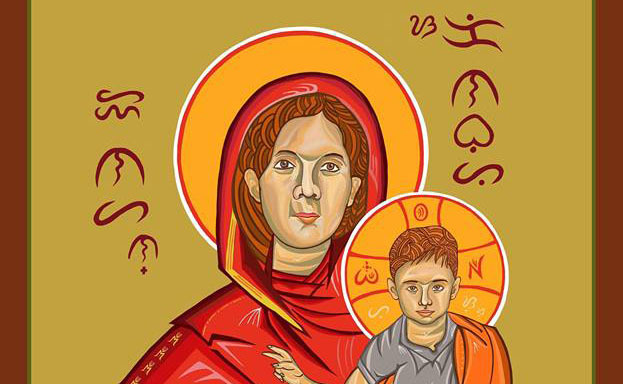 The icon of the Blessed Mother and her Son mirrors our relevant Filipino identity. 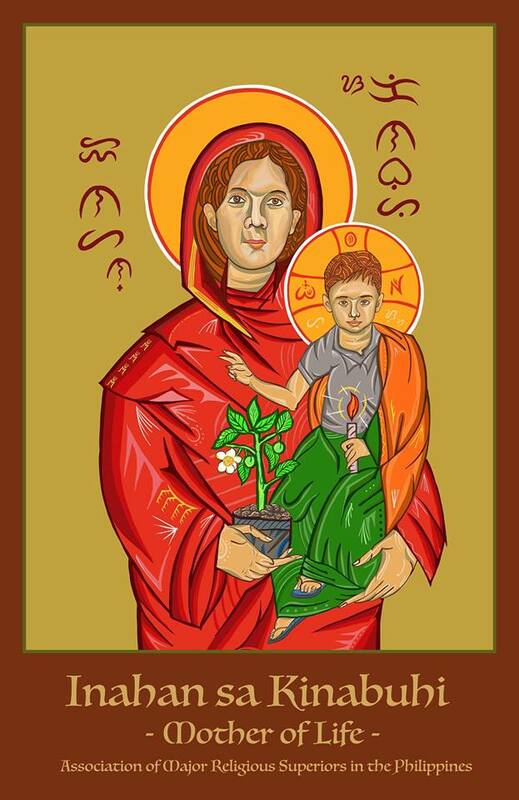 The face of Mary is from a woman who currently fights against mining in the island of Cebu; and the baby Jesus’ face is of Skyler Abatayo, a four-year old collateral victim of the state-sanctioned war on drugs. Mary holds a Catmon tree, an endangered Philippine fruit tree; encouraging all of us to carry the mission of replacing the many ecological damages we have done on our planet. While Jesus carries a lighted candle, symbolic of our consecration and of our prophetic call to be a light in the seeming dark times. Both real images reflect our current fight for life—for climate justice and against the killings. the Baybayin script reads: Inahan sa Kinabuhi.